VEOLIA WATER SOLUTIONS & TECHNOLOGIES has unveiled the latest addition to its Aquamove fleet of mobile water treatment solutions. REMOX is a membrane degasser which removes carbon dioxide and oxygen from water. Reported to be the first membrane degasser available on the rental market, REMOX is housed in a fully air-conditioned standard 40ft container complete with all necessary compressed air, nitrogen and vacuum equipment. With two streams of membrane modules, REMOX can treat up to 100m3/h of water to less than 0.3mg/l dissolved carbon dioxide and up to 75m3/h to less than 0.01mg/l dissolved oxygen. Among the many applications for REMOX are deaeration of boiler feedwater to reduce corrosion, degassing of semiconductor rinse water to reduce wafer surface defects and to improve the shelf life and taste of food and beverage products. Additionally, ion exchange deionisation and continuous electrodeionisation processes operate much more efficiently if dissolved carbon dioxide is removed upstream. 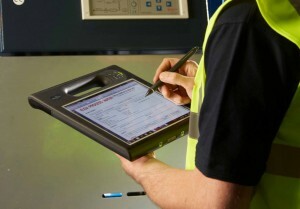 ELGA PROCESS WATER, a Veolia Water Solutions & Technologies Company, has equipped all its service engineers with tablet PCs as part of its new AQUAConnect intelligent service management system. As water deregulation approaches, many automotive organisations are taking a closer look at their water management systems and finding that, while compliant, they are inefficient and out of line with their ambitions to drive down operational costs and improve sustainable performance. WEGER AIR SOLUTIONS UK reports it has expanded its product range with the introduction of 5 models of heat pump to air heat recovery units. All of the units are ‘stand alone’ and only need electrical power, so are said to be ideal for applications where hot water, chilled water and gas are not available. IP68 enclosures are able to protect against water ingress even when fully submerged, making them ideal for applications in extremely harsh environments. PWE reports.